Two Friends Patio is one of the last remaining restaurants of the original Old Town Key West. Established in 1967 it has been a family-owned landmark for over four decades. We are located on Historic Front Street between the Mallory Square Sunset Celebration and the Historic Seaport, within walking distance of the cruise ship docks and five major hotels. Come join us for a casual open air patio dining experience -- breakfast, lunch or dinner everyday, beginning at 8 a.m. Our specialty is still the finest in local seafood including shrimp, fish, lobster, oysters, conch and crab. Also serving the Island's best chargrilled steaks and ribs. Experience the true Island flavor of the original Key West. You will agree that Two Friends is the one last remaining unchanged jewels of the island. Our prices are reasonable, the food is fresh and the frozen drinks still come with those little paper umbrellas. 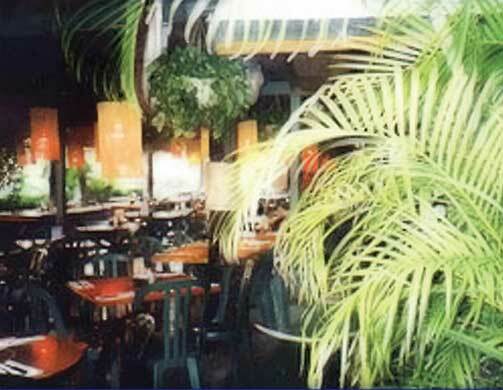 Try our famous conch fritters, seafood fettuccine or broiled lobster tails. We have the best early bird specials on the Island. Selections start at $9.95 and are available from 4:00 to 7:00 p.m. Also!!! ... Live entertainment and happy hour nightly in the lounge.